Do tracks get damaged easily? They are actually very strong and you'll hardly face any problems with damaged garage door tracks. The most usual cases in which Garage Door Repair Garden Grove experienced with distorted tracks were due to car accidents. You just need to keep them clean because a small rock would prevent the smooth sliding of the rollers and the door will be off tracks. If you don't keep them clean, a small rock and the force of the door could hurt its material. 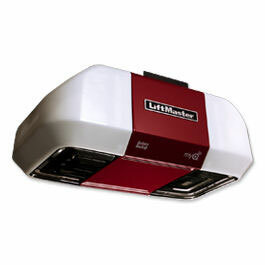 What equipment do I need for maintaining the garage door? 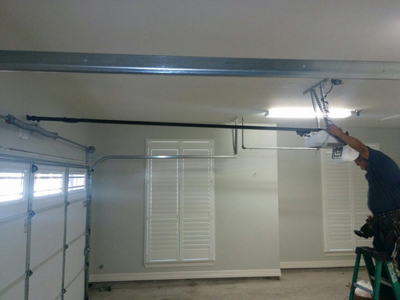 Garage door repair is a hassle and requires attention. Basically, the experts of Garage Door Repair Garden Grove would suggest wearing thick gloves and shoes and keeping your face as protected as possible. The easy part of the garage door maintenance would require a screwdriver to tighten the loose screws but any extra repairs would probably require more special tools and you would need to consult with an expert. How to draught proof garage doors? Although draught cannot be completely avoided, the effect of draught can be reduced. Most sectional doors have a weather-seal strip at the bottom and that prevents wind and other debris from entering the door. Some manufacturers may offer an extra jamb seal that reduces draught effectively for sectional doors. 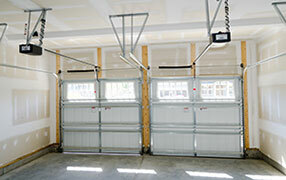 Draught-proofing helps in saving energy costs and keeps the garage warm in cold months. Do the garage door panels require cleaning? Yes, they do require cleaning, irrespective of the material which they are made from. The panels should be washed with warm soapy water and a sponge twice or at least once a year. You can use a safe cleaner for more stubborn dirt accumulations. Why do garage doors get off tracks? Garage doors come off tracks because something is wrong with either rollers or tracks. Too much lubrication wouldn't do any good either. It usually happens as a result of misaligned tracks or worn rollers and when fasteners are not tightened as well as they should be.